TOKYOPOP is going to have a busy year in 2002, with Initial D, Love Hina, and Cowboy Bebop all joining their manga lineup. It turns out that those aren't the only titles they're working on... 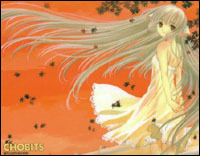 According to inside sources, the new CLAMP series Chobits and the long running GTO (of which TOKYOPOP has already announced their acquisition of the anime) are also due to hit bookstores in early 2002. Think The Big O was finished with the final episode on Cartoon Network? Think again. The manga, drawn by Hitoshi Ariga (Rockman/Mega Man) and scripted by Hajime Yadata (Gundam Wing), is currently in it's fifth volume and features many stories not in the anime. Our sources say that Viz Communications is about to announce this series as a February release. The series will be a monthly 48 page comic. After months of preparation, the release date for the Sakura Wars has finally been announced. On December 22nd, Sakura fans in Japan will finally be able to see the side story that was never told in the game version of the Sakura Wars saga. Along with the release date of the Sakura Taisen ~ Katsudou Shashin ~ (Sakura Wars ~ the Motion Picture ~), several pages worth of original design sketches and screen shots from the movie itself were also released through the official site on Production I.G. 's web host. The estimated length of the Sakura movie is 80 minutes. 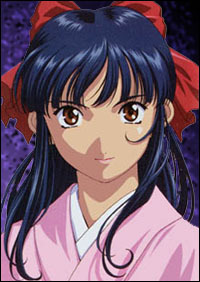 Extensive computer graphics and special effects were used in the production, with qualities even surpassing those used in the third installment of the Sakura Taisen 3 game released on the Sega Dreamcast system earlier this year. To be shown as sub-features along with the Sakura movie in theatres are Digi Charat the Movie, Slayers Premium and Azuman ga Daiou. Advance ticket buyers will also receive one of the two special gifts - a limited edition poster or a special card-shaped CD-ROM. Information on both a new Tenchi-Muyo! 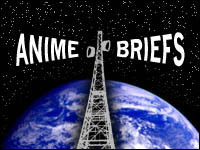 OVA and third TV series have emerged. Creator Kajishima Masaki returns for both productions. Shinichi Watanabe will direct. A short trailer for the Tenchi-Muyo! Galaxy Police (GXP) TV series is online at the official site (http://www.tenchi-web.com/). The trailer features several new women, and even in Real Player format the animation quality looks high. A new anime based on Sony's AIBO robotic animal product line began in Japan on October 11 on Fuji TV. The two newest models (released September 22) of the AIBO product will interact with the show via the program's audio. The AIBO models, Latte and Macron, were designed by Katsura Moshino and retail for 98000 yen (roughly $816, U.S.). No details have been released concerning an American release of the program; however, Sony plans to release the new AIBO line in the U.S. and is using the Big Apple Anime Fest in New York to promote the machines.